Do you know her? Was she as popular as she was in Germany in both books and TV? I was a big fan and a while ago I sketched all my favourite childhood characters in my sketchbook and now I'm colouring a few of them up inbetween jobs. 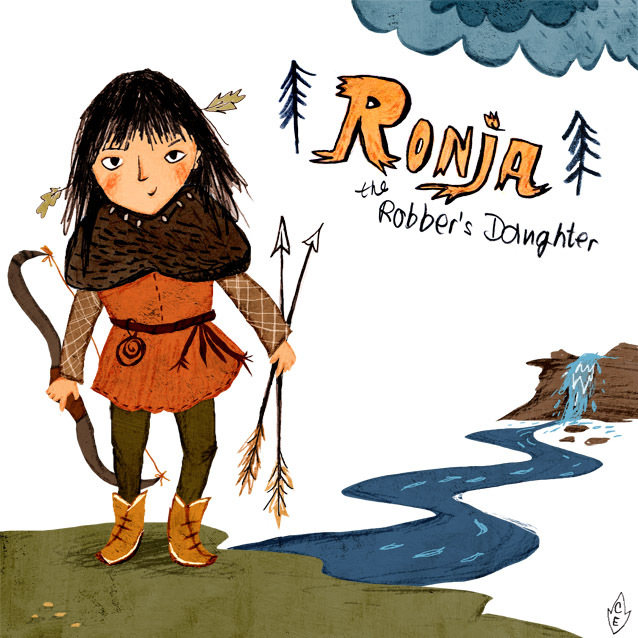 In case you don't know Ronja Raeubertochter, it's an Astrid Lindgren kids' fantasy story. I love Ronja. I read the book a million times and I've seen the movie even more often. I have the DVD in German only and still made half of my English speaking friends watch it. I so wanted to be her when I was a kid!!!! I love your drawing of her :) totally made my day and I may have to watch the movie AGAIN tonight!!! oh my gosh! i was just thinking of this book the other day!